I’m terrible when it comes to sleeping: it’s very difficult for me to fall asleep, while any noise that breaks the silence wakes me up instantly, no matter what the time is. But recently I managed to solve all of my problems using something I never knew existed until last months: headphones or headbands for sleeping. 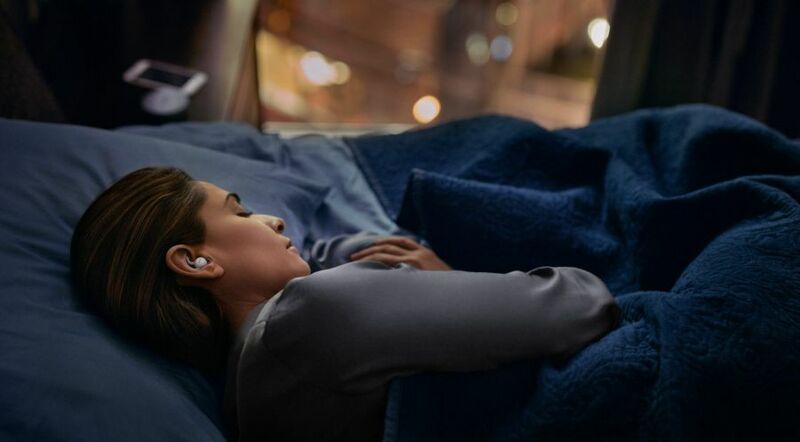 And in today’s article I am going to share the best wireless headphones and headbands for sleeping in 2018, so that you too can enjoy a perfect night’s sleep. 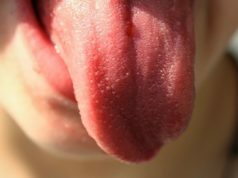 If you are like me and you had trouble sleeping for too many years to even count them, you’ll feel truly blessed for finding this article! If you don’t want to lose any time reading some extra (and extremely useful!) details about these headphones designed specifically to help you sleep better, you can check out the table below and simply pick your favorite product. 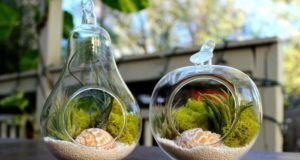 But if you want the full overview of these, as well as some important details on how to choose the best product for you, read on! As you can see, in this article, I am only sharing wireless headphones and headbands for sleeping. So… why is wireless better? The reason why I would only use wireless headbands over the night is the fact that wires are very uncomfortable. You can end up getting tangled and I am actually scared at the thought that the wire might end up choking me over night. I never heard of anything like this happening, but I’d prefer to play it safe. So I would never recommend wearing anything wired over the night! I am also recommending nothing but the special headbands for sleeping, as well as in-ear earbuds. The reason why you should only choose one of these two is that it’s actually extremely uncomfortable to sleep wearing traditional headphones. They are large, chunky and impossible to wear when you’re keeping your head on a pillow. They also make sleeping on a side impossible so for me – and most people who don’t sleep the whole night laying in the same position – they are completely out of the question. But these wireless headbands and ear buds are specifically created to wear in bed and help you sleep better. And they work amazing, despite the usually low price. I would actually recommend you to start with a cheap product and upgrade to a more expensive and higher quality one only if you manage to put it to good use. Because there might be some things to get used with – especially if you’re not used to sleeping with additional things over your head. For me, it was extremely easy because I was already using eye masks for sleeping, so the transition was extremely simple. And finally, before moving on to check out the top products below, another important tip: only use music or sounds specifically created for sleeping and keep the volume as low as possible! This will make you sleep like you’ve never slept in years. Just thinking about it makes me sleepy! But we have to actually check out the products! 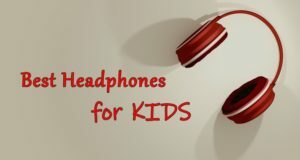 So let’s not waste any time and let’s see which are the best wireless headphones for sleeping in 2018 (the products are listed from the cheapest to the most expensive). The cheapest product on our list might look and feel a bit bulky and large, but is actually really good once you get used to it. The sound quality is also decent – nothing to write home about and not perfect, but for this price you can’t expect it to be otherwise. It’s probably good to be used as an entry product – mainly for you to test and see if this type of thing works well for you, then move on to something a bit more expensive and of a higher quality after you do. 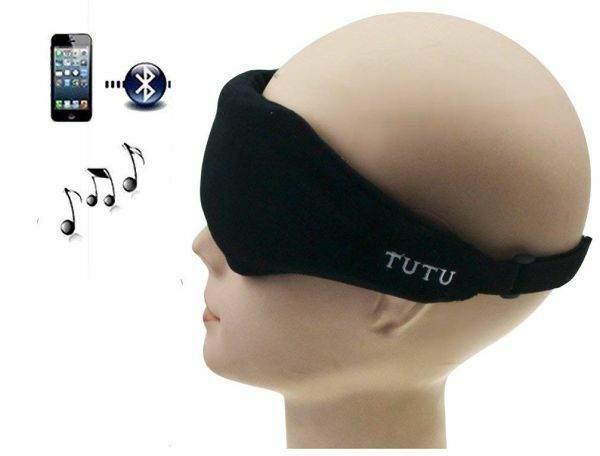 Because there are some problems with the TUTU eye mask, which are not related directly to the quality of sound or how useful it is to help you get a good sleep of a few hours. One of the most annoying features it has is that once it starts running out of battery, it produces some pretty loud beeps in the phones. This can definitely wake you up if you’re using the headband over the night. And with its battery only lasting for about 5 hours, it will inevitably wake you up in the middle of the night. However, you can get rid of these problems by only using it during evening naps or when you only get a few hours of sleep (like when in a plane, for example). 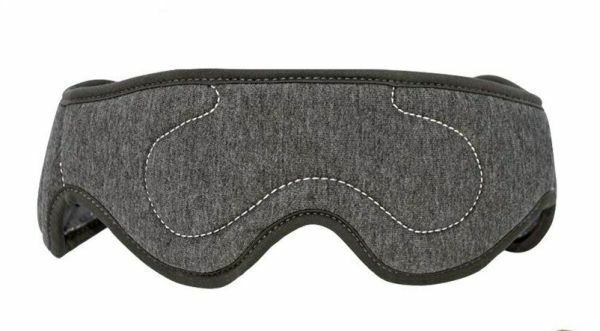 I also personally am not a big fan of the buckle that allows you to adjust the eye mask: when sleeping on a pillow, it is a bit uncomfortable. 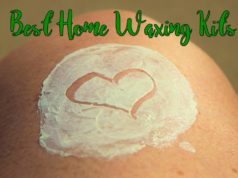 So this is not a perfect product, but it’s still one of the best out there and it could be exactly what you need if you don’t plan to use it over night. This one’s already a lot better in my opinion: comfortable from the beginning and extremely pleasant on the skin, it comes with integrated headphones and produces a good enough sound quality for its price. The headphones are smaller and they don’t hurt your ear that bad (or at all, depending on how you personally feel things) when you sleep on a side. It still doesn’t last for a whole night on a single charge, although you can get up to 8 hours from it if you keep the volume really low – and that should be more than enough. You can also plug it in into a mobile phone or music player if you prefer to do so, which is a good thing: having extra options is always good, although I would never use the cord when sleeping over night. But all in all, this is a good product selling for a really low price and helping you a lot to sleep better. This is the one I have started with and although it can’t be compared in terms of quality with the more expensive ones, it is durable and totally worth it! This company produces some really good sleeping buds, but they are all wired and in today’s article we’re talking about wireless options. And even though these are not designed specifically for sleeping, there’s no rule that you can’t use them just for that. I am also recommending them as an alternative to the headbands and eye masks in case you prefer them. I personally can’t sleep with earbuds on, no matter what – but probably many other can. 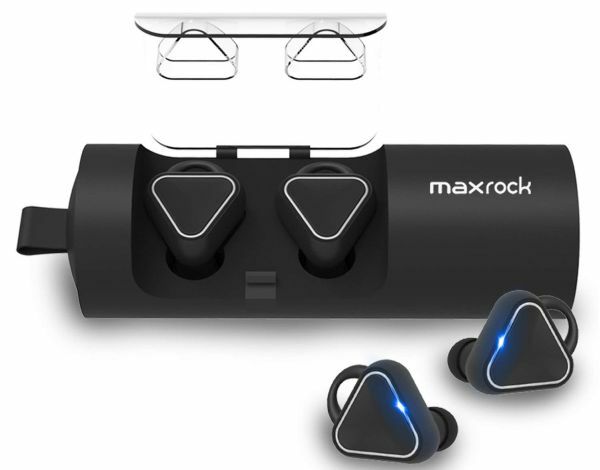 And with these Truly Wireless Earbuds, you’re getting a very good sound quality and a design that fits your ear quite nicely. The bass is not that great – but you don’t need it when sleeping, so the problem’s solved. I also like the fact that their holder acts as a powerbank, so you can constantly recharge them. Unfortunately, the actual battery life is not that impressive and it won’t last for the entire night. So you will either have to take them out at a point or simply sleep with them powered off. With low volume settings, the battery will only last for about 3 hours which is unfortunately a bit low for most of us. But if you’re only looking to have them help you fall asleep – they’re perfect for that! We’re now moving to true, high quality. 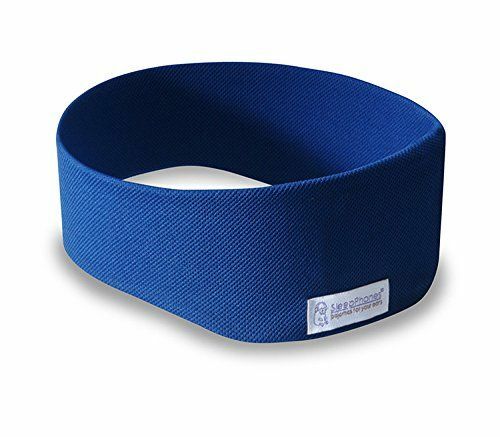 This is actually the product that I am using right now – I have upgraded after using the AcoTop headband and I am extremely happy that I did. 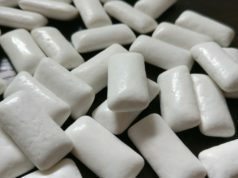 The first thing that you notice and welcome when you compare the SleepPhones with the cheaper products is the huge increase in the quality of sound. This makes everything a lot better in my opinion, as high quality sounds and sound reduction make you rest even better. The best part is that they also have a solid battery life – they last over 10 hours on a single charge and sometimes you can use them for two nights in a row without recharging. Recharging does take a really long time (over 2 hours), so make sure you plug them in as soon as you wake up to make sure they have enough juice the following night! These headphones are comfortable, easy to use and truly flawless. They cost a bit more, that’s true, but it’s money well spent. You’ll sleep better and without problems using these – without the limitations and cons of the cheaper options. 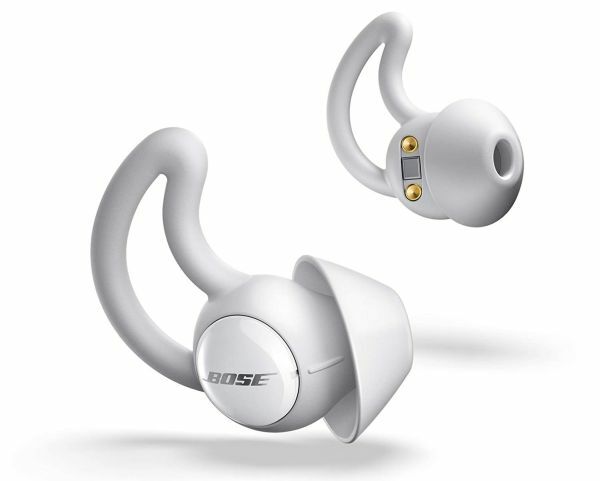 Now if you really want to take things to a whole new level and get true VIP treatment, you can get these insanely expensive buds created by the well known Bose company. 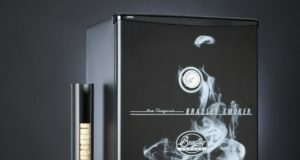 These buds have been created specifically to help people sleep better and everything from the design to the sound quality, sound masking attributes and sounds they can play has been taken care of by the team. And they did a great job – that’s a fact! However, for such expensive ear buds, you would expect something that would allow you to play your own music which, at the moment is not possible. You will have to pair the Bose sleepbuds with their built-in app available on iOS and Android and select everything you need from there. There are a lot of options indeed and relaxing sounds… but a bit more freedom would’ve been nice. They also come with case that charges them – while the battery can last for two nights in a row easily. So yes, these are truly premium sleepbuds created specifically to help you get a perfect night’s sleep, but the biggest downside is their price. It’s also premium! These are our top picks that you can easily order on Amazon. Don’t be afraid of the Chinese brands or no-name brands as they are really good products to start with. Of course, for extended quality and durability, you’d have to choose one of the more expensive headbands that we’ve listed and you’ll feel the difference. But if you don’t have the money or you just want to test the water first, the cheaper ones will do just fine!